Souleman Yusph was held for a few days, then released. He is in good health but wants to keep a low profile to avoid retaliation. For Syrian bishop, he was "arrested for telling the truth". The prelate slams Kurds (from Turkey and Iraq) who want to occupy the area. Hasakah (AsiaNews) - Assyrian journalist Souleman Yusph "was released" after he was held "some days" by Kurdish authorities. 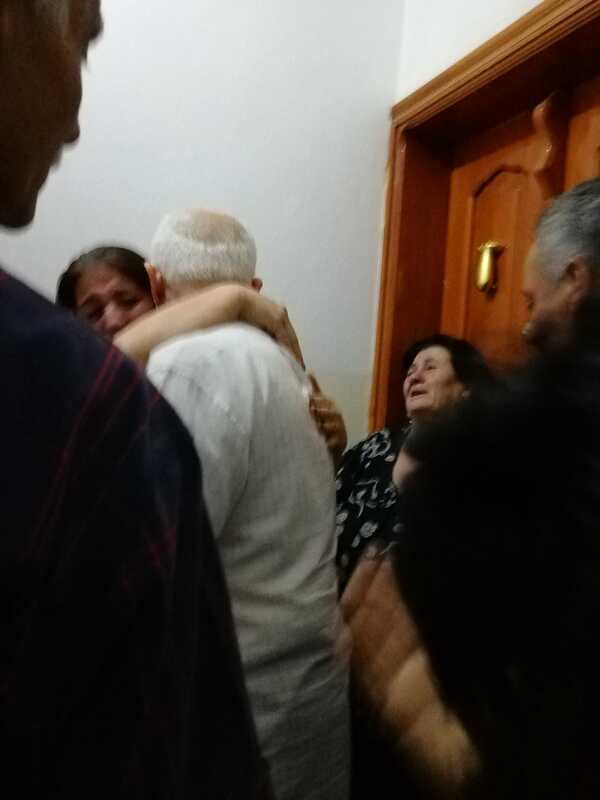 He is in good health and shows no particular "problem", even though he has chosen to remain at home and not to speak, said Mgr Jacques Behnan Hindo, head of the Syriac Catholic archeparchy of Hasakah-Nisibis. "It is understandable that he wants to keep a low profile,” the prelate told AsiaNews, “but I want to continue to speak out against the discriminatory campaign by Kurds against Christians in the north-eastern Syria. 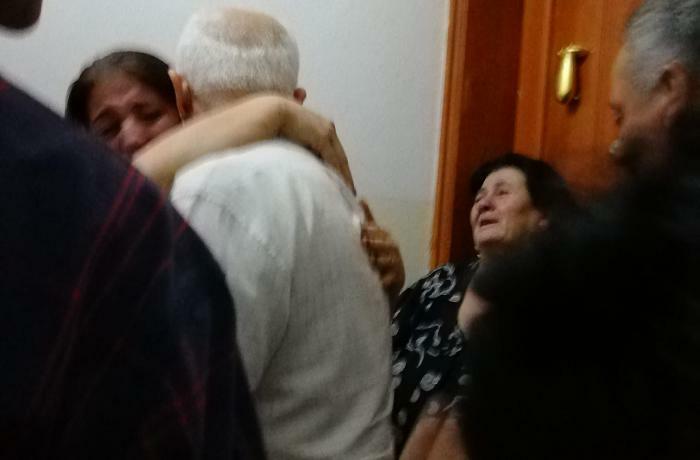 Souleman Yusph (pictured with family after his release) is a prominent member of the Assyrian community in north-eastern Syria. He is one of the most authoritative voices in the protest over the closure of local Christian (Assyrian and Chaldean) schools at the end of August by Kurdish authorities. He is the author of many reports and investigations, openly challenging intimidation and threats, and for this reason has run afoul of the authorities. Local sources report that he was held for at least five days, from 30 September to 4 October before he was released without explanation or formal charges. His release was confirmed in the last few hours after some witnesses (who asked their identity be protected for fear of retaliation) reported it whilst keeping a low-profile. With respect to Yusph’s detention, what is now known is that he was arrested around 9 pm in his hometown of Qamishli by the Syriac Security Office (Sutoro), a police force working for Kurdish authorities (especially the People’s Protection Units, YPG). Eyewitnesses remember a convoy of three vans, carrying at least 10 Assyrian policemen who "seized him and took him away". During the operation, Yusph’s belongings were removed, including his personal computers, mobile phones and various documents, accumulated over time as part of his work. Some agents remained outside the house, to keep an eye on the road and quell possible protests. Before his arrest, the journalist had posted pictures and messages criticising the decision to close Christian schools and the harm this would to the cultural and educational heritage of the Assyrian community. Sutoro officials responded by releasing a statement saying, without mentioning Yusph, that they acted to stop the spread of false and defamatory news that undermine democracy. For Mgr Hindo, "He was arrested simply for telling the truth, for denouncing the abuses". In his view, "more targeted attacks and violent incident cannot be excluded” in the future. “We can expect anything from the Kurdish authorities. They do not understand that they are pawns in the hands of the West and are used for political purposes." In the next few days the prelate plans to meet a Kurdish delegation and, he warns, "it will be a tense meeting". "They know that I am against their way of doing and governing the region," he said. “The major problem is not the Syrian Kurds, but those who come from Turkey and Iraqi Kurdistan who want to annex ancient Mesopotamia to their territory".